Effergy is a Renewable Energy Consultancy company (is a Technology Based Company, EBT), spin-off of University of Almería, created in 2009 and associated with most important RE research institutes in Europe. Effergy’s mission is to address the energy problems that are unresolved, raising economically sustainable solutions based on experience, with a view to transfer innovation in alternative energy and energy efficiency with the aim that the knowledge gained to improve the society around us, seeking sustainability. The group undertakes “EFFERGY” includes individuals totalling more than 100 years of experience, primarily in the field of renewables, with a wide and extensive experience in research, teaching and executive activities such as renewable energy, energy saving and the implementation of new technologies in conventional systems. 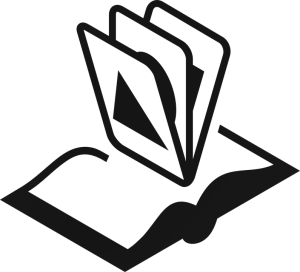 The industry knowledge is contrasted through the development and implementation of plans and projects related to the topics mentioned above. This experience reinforced his career as senior researchers of public research organizations and world-class university professors in various areas related to renewable energy, sustainability and energy efficiency. 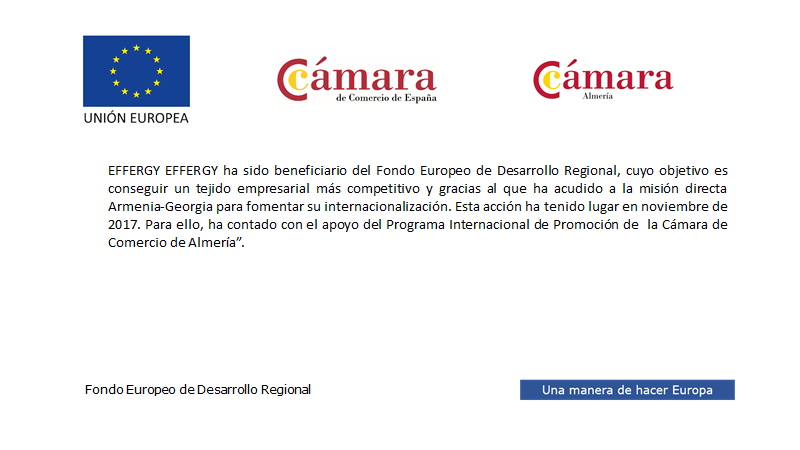 “EFFERGY ENERGÍA ha sido beneficiaria del Fondo Europeo de Desarrollo Regional cuyo objetivo es mejorar la competitividad de las Pymes y gracias al cual ha puesto en marcha un Plan de Marketing Digital Internacional con el objetivo de mejorar su posicionamiento online en mercados exteriores durante el año 2017. 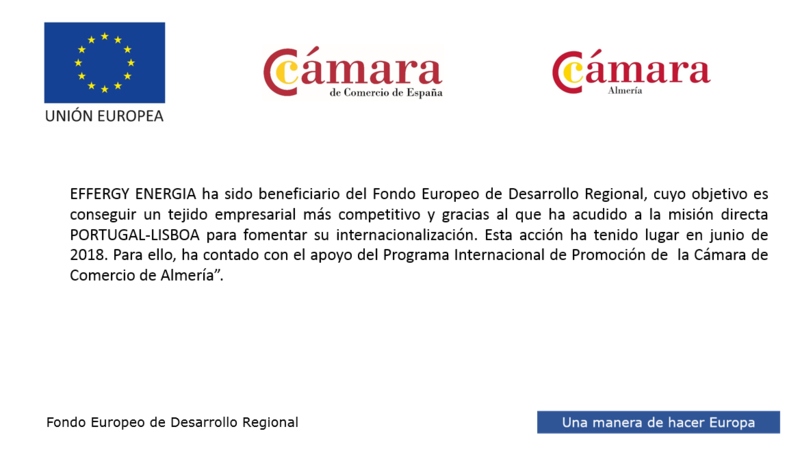 Para ello ha contado con el apoyo del Programa XPANDE DIGITAL de la Cámara de Comercio de Almería”.